Google Stadia: Everything You Need to Know (Updated!) | Nerd Much? Last week, Google began teasing what we could only imagine was some form of video game streaming device. They dabbled with the technology last year in a partnership that saw Ubisoft and Google partner in bringing a test run of Assassin’s Creed: Odyssey to Chrome via Project Stream. Today at GDC, we finally saw what they were building towards – Google Stadia. It’s possible thanks to Google’s vast network of data centers spread across hundreds of thousands of miles of fiber optic lines. Said lines stretch an impressive 19 regions, 58 zones and are found within over 200 plus countries and territories. Combined, these data centers give Google Stadia 10.7 GPU teraflops. That’s more than the Xbox One X and the PlayStation 4 Pro put together. Google is promising “a game platform for everyone.” If you have a device that can run Google Chrome, then you have a device that is capable of playing via Google Stadia. There are no downloads with Stadia. You simply click play via a link and the title begins streaming to your device in seconds. With Google’s new option, the downloading of a new title throughout the night appears to be over. Chrome has also been updated to allow for your current console controllers to work with it to play Google Stadia games. 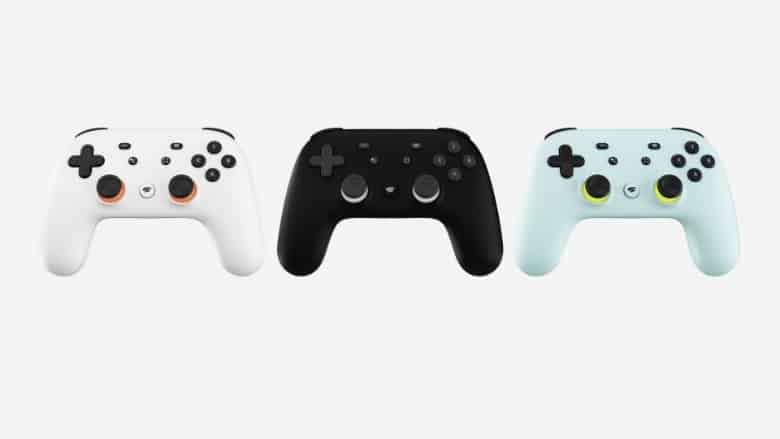 Google also has debuted a new Google Stadia controller which they say allows for the best possible experience. Instead of Bluetooth, the Stadia controller connects directly to the Google data centers through Wi-Fi. Ensuring limited latency while streaming your games. Google Stadia also touts an advancement in multiplayer games through their streaming system. Because data isn’t routed through the public internet, Stadia allows for more consistent bandwidth coming straight from their data centers. And they also promise a multiplayer platform that features no cheating and no hacking. When Is Google Stadia Launching? Stadia will launch first in US, Canada, UK, and Europe in 2019. No official date has been announced. When Stadia launches, it’ll support 4K resolution at up to 60FPS with HDR and surround sound support. In the future, they’ll be able to support 8K resolution. How Many Terraflops Does Stadia have? Graphical power of Stadia is 10.7 terraflops, 4.7 more than Xbox One, and 6.4 more than PS4 Pro. Google Stadia Crowd Play was also announced, allowing players to jump directly into a game with streamers using a queue system. Players can also get help right in-game using the Google Assistant. An example was shown with Tomb Raider and asking the Assistant “How do I solve this tomb?”. A YouTube video popped up. Google also announced Stadia Gaming Entertainment – their own first-party games studio to develop specifically for Stadia. After rocking the world with their announcement of the Google Stadia streaming service, the man in charge, Phil Harrison, sat down for an interview to offer a few details and to clarify some of our lingering questions. One of the things he addressed was an important one – the internet requirements needed to how Stadia process games seamlessly. Harrison stated that the team was “able to test a lot of this with our Project Stream test late last year, starting back in October.” If you’ll recall, that was when Google partnered with Ubisoft to allow for a free demo of Assassin’s Creed: Odyssey to be played for free over Chrome browsers. It’s worth noting, according to Fortune, that the average U.S. internet connection speed is 18.7 megabits per second. Which is considerably under the 30 megabits stated as the internet requirement to hit 4K visuals. Though, that 18.7 figure is likely bogged down quite a bit by slower internet speeds in the rural portions of our country. Still, it’s clear that though internet speed averages in the U.S. are up 22% in just the last year, we still have a long way to go to get everyone up to modern broadband levels. Making the Stadia something not everyone in the country can choose as a viable gaming option.